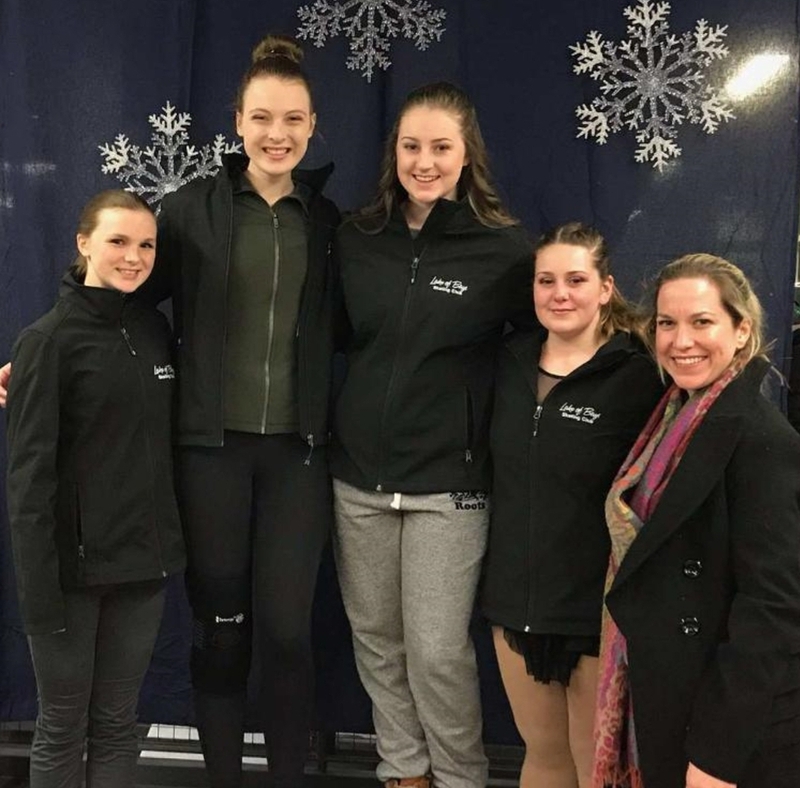 On Sunday March 30, the Lake of Bays Skating Club hosted their season finale to showcase just how much the skaters’ abilities have improved over the season. The carnival theme was Music and Movies and skaters dressed as their favourite Disney and popular movie characters. “This is a really fun way to end the season and to show family and friends what the children have accomplished in their season,” said Stacey Mackinnon, the president of the club. The Lake of Bays Skating Club has offered skating lessons in Baysville for the past 50 years. “We are a small but energetic club,” said Mackinnon, adding that they have a fantastic coach in Christine Whyte, who joined the club two years ago. Coach Whyte has 18 years of coaching experience and has a National Coach training certificate. The club offers skating lessons for beginner skaters (Canskate: pre-can to Stage 6) through to the more advanced skaters (Star 1 – Gold program). For the 2018-19 season, the club had 20 registered skaters ranging in age from three to 17 years old. This season, the club’s Star Skaters competed in two competitions. Four skaters competed in Port Credit as well as in Bracebridge. “All of our skaters did very well in their respective levels and programming,” said Mackinnon. They were able to meet other skaters from the surrounding areas and had fun showcasing their own individual talents. The skating club’s season begins in October and runs through to the end of March on Tuesday and Friday evenings.